The first time I saw Martha's instructions for making a custom colored chalkboard on the wall, I really geeked out. Everywhere I looked, I began to see the potential for chalkboards. And so I started painting them all over the place, using her homemade recipe. But oftentimes I was disappointed with how the actual chalk looked. It was either not bright enough, or I couldn't write small enough for the space. Until, that is, the magical and life-changing day that I discovered Chalk Ink Markers, thanks to Creative Kismet and Maize in Montana. These markers come in 2 different types, water-washable and water-proof. I bought some of the water-washable kind because that's what they carried at the local art store. After doing a small test on the corner of Randa's chalkboard, the girls went to town with them. The first thing *I* did was make containers to pot up some of my seedlings by sprucing up some recycled containers using black chalkboard spray paint. I cleaned them well and put some holes in the bottom for drainage. 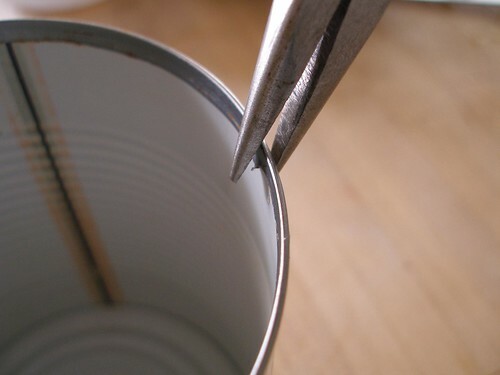 For the metal cans, I used the can opener to cut several, inch-long openings. For the plastic I either drilled holes or simply stabbed it in several places with a screwdriver, which didn't make the holes I was hoping for, but cracks that drained fine just the same. Then I sanded the metal with fine grit sandpaper and wiped clean. For the plastic, I went over the entire surface with turpentine on a cotton ball. I was able to spray the metal containers directly with the chalkboard paint, but needed to prime the plastic first with a special primer. Then I sprayed on a few layers of the chalkboard paint, letting them dry in between. 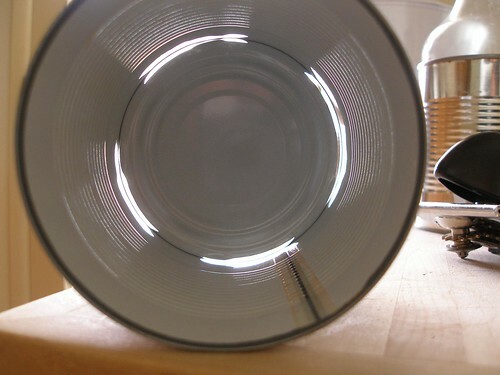 As always, when using spray paint, several thin coats are better than one thick one, which will drip and make you sad. After I planted them, I used the white marker to write the name and date that I started the seeds. 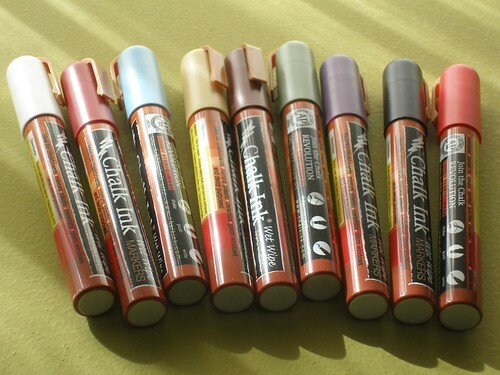 So is anyone else as incredibly excited to own a set of these markers as I was? Because I've contacted the company and they've offered to sponsor a contest here with a 5 pack of markers. Wee! To qualify for the drawing, just leave a comment letting me know what amazing and creative uses you plan to put these to, should you be the lucky winner. The contest will run through Sunday at midnight during which time I'll post about some of the other chalkboard projects I've done. If you have any ideas of your own for chalkboard ideas, please feel free to link to them in the comments. I would love these! I painted a wall in my kitchen with chalkboard paint and have been very disappointed with the way regular chalk writes on them. 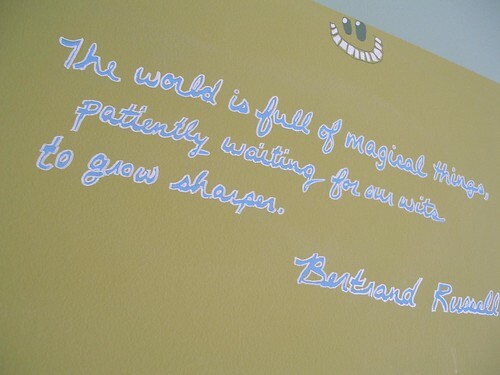 I'm pretty sure it's because of the texture on the wall under the chalkboard. But these would be great! I could write my menu plan and actually be able to read it! Chalkboard spray paint and chalk markers, wow! I would create an outdoor chalkboard with a repurposed picture frame to welcome guests to our home-- which can then change with the seasons and the activities going on in our house! We have been dreaming about creating a baroque shaped chalk board in our dining room area, these fabulous chalk pens would be the tipping point for us to move from dreaming to reality! And we could then have you over for dinner to show off our handy work! Yes, this is a bribe! 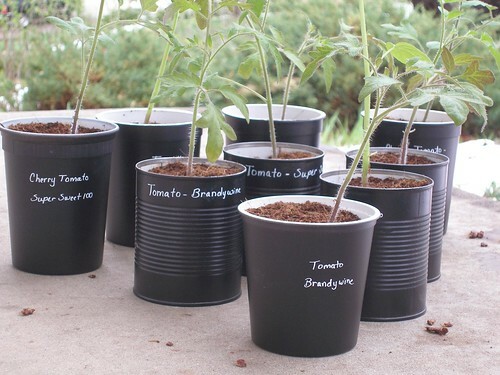 I have another gardening related chalkboard idea, but it would require waterproof ones - I'd love to customize a set of plant markers and update them each year with the new crops rather than making new ones all the time (albeit from recycled yogurt containers, but still). Or I would chalkboard paint the inside of one of my kitchen cabinets so I could write the weekly menu and grocery list. Or chalkboard paint a big square on the back of the garage for scoring of horseshoe and Hillbilly golf with the waterproof chalk pens. Or label my dry bulk jars for beans, pasta, rice, etc. OOH! That's what I'd do first. Yes. I need these. And, also, some chalkboard spray paint. I have a similar set, different brand name. I use mine for my weekly menu. I bought a old picture frame and painted the glass with chalkboard paint. I also painted the frame to match my decor. I write out the weekly menu on it every Sunday night. No more..."Mom what's for dinner??". I also use it for special occasion menu's or to write message when we are celebrating. We love chalk in our house and would use these all over the place for everything. Truly. Outside we have [what has turned into] the community sidewalk chalk. Inside we have chalk boards made from painted boards mounted all over the house at a four foot tall person's hand level. I think this cut down on the spontaneous unwashable graffiti that crops up every now and again with little ones. I still have to wipe the mirrors, since my girls got dry erase boards for Easter, but that's still better than crayon on the walls. I also liked a.din's idea, but I would leave a pen out so visitors who missed me could leave a note. Those look pretty cool. I'm thinking I'd borrow your idea, and paint some planters, and then write on them. Ummm...what wouldn't I do? First there is the awesome chalkboard wall in the awesome tree house out back. Second there is my studio to do list. Third there is a lot of boring wall space around here. I'm not really coming up with anything cool here, but I want them. So there. Oh, how timely! I've just purchased some chalkboard paint and multi-surface sandpaper! My project is to coat all my miscellaneous jar lids in the paint so I can note the contents. This will keep me from using all-purpose flour when I really want pastry, and vice versa. And hopefully prevent the rest of the family from using my hoard of superfine sugar for their tea when regular will do just as well. I was just about to do a search for something more fine-tipped than regular ol' chalk. I turned an old kitchen cabinet door into a chalkboard that hangs in our kitchen. Some weeks I use it for menus; other weeks I use it to jot down errands. I'd like to make a chalkboard for my craft space / office, where I can jot down inspiration as it strikes (instead of putting it on a sticky note that gets buried under paperwork!). I'd never heard of chalk markers before -- very cool!! Count me in- I have never even heard of these! OMG! LOVE the mason jar lid idea!!! I have so many unlabeled or sloppily labeled mason jars full of stuff and it's driving me crazy. This is such a easy and clean looking solution! And I love the make your own recipe! I just happen to have all of the supplies already! I also need a grocery list board, now that I've adopted a policy of "not buying anything that will be thrown away with one use", I've been using the backs of envelopes and scrap paper, but this is a very messy solution.... A chalkboard I made my self from stuff I already had, now that is much better. 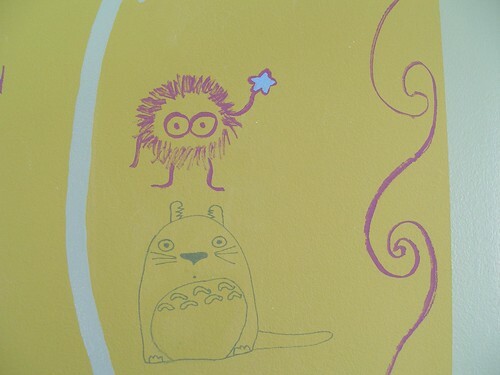 (Of course, I don't have the chalk markers yet.. :) THANKS! Keep spreading your ideas! I've been wanting to make chalkboard napkin holders (wood holders painted with chalkboard paint) and these markers would be perfect for the seating assignments! Or just a doodle/decoration to go with the table setting. So creative! I'll be sure to include these planters in my week in review on Saturday! How fun! I would love to play with chalk markers. I never even knew they existed! If I had the paint and the markers I'd make a big chalkboard for my kitchen wall to write down upcoming events, to do lists, and menus. Always a big fan of chalk! 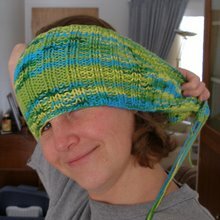 Is the contest open to international bloggers? (Canadian bloggers to be specific). If not, I think I'll get a set of chalk markers on my own anyway, so thank you for posting about them!! I love, love, love chalkboard washable markers. When I owned a tea shop years ago in Tulsa, I used them for our menu boards. I really enjoyed writing the menus out with them. Oh my goodness! I use chalk for so many things, and those look soooo cool. I always wondered how they got restaurant chalkboard menus looking so spiffy.... aha! Here's my own fun with chalkboard paint: I made little cardboard cut-out pumpkins covered in chalkboard paint last Halloween, and they turned out completely adorable: check them out here. Love the mason jar lid idea! These make the idea of a chalkboard dinner table much more appetizing. (The idea of chalkdust plus eating area didn't do much for me, no matter how much I love the concept.) 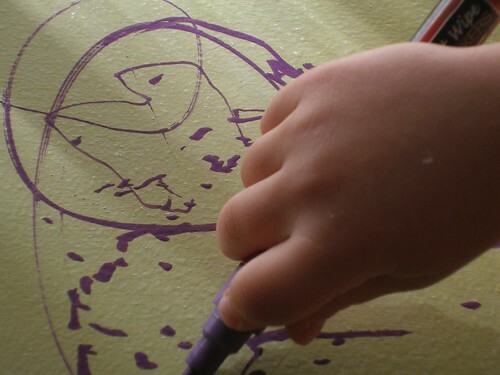 This is especially great since we have a two year old who is getting way into drawing and learning to read. We can put her "lessons" right on the table. And from there, really, what surface wouldn't be safe from me chalkboarding it up? I LOVE these! I would paint a section in my craft room and put all my inspirations on there. It would be so much more fluid and neater than pieces of scrap paper I have now. I had a white board, but didn't like the smell and I always seem to leave the lids off the markers and they dry out. Thanks for the inspiration! i'm most excited about the nontoxic white board stop animation possibilities! I would love to own a set of these markers. I'll be honest, I haven't done much with household crafts for years...I was a single mother of three working full time and just didn't have the time or the funds to do cool things to my home. But now I am engaged and my wonderful fiance' has encouraged me to be a stay-at-home mom...and I watch your blog for inspiration to become the homemaker I want to be. I think these chalk markers would be a great start! I love the bulk jar labeling. 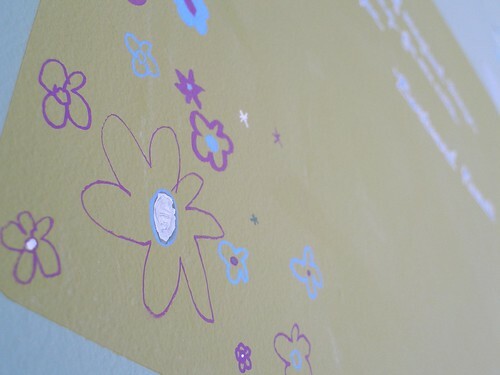 I always unsatisfied by masking tape and my decorative stickers always fray and look homely. I had given up, but now this discovery! I will bring my mason jars back into rotation. Exciting! I will also use them on our multiple chalk boards. The girls will be thrilled. Thanks for all the ideas. I painted the rims of the pots my herbs are in with chalkboard paint. These would be much better than chalk for labeling them. You have totally inspired me to start using chalkboard paint and markers to label and organize stuff -- and myself. Thanks so much! I know i'm probably a little late to win the markers, but i just wanted to thank you for posting this!!!!! my boyfriend of 3 1/2 years is moving away to go to school soon, and i had the idea of buying a small side table for the living room of his apartment, and painting the top with chalkboard paint so that i could leave him messages on it every time i visit! i found the perfect table and am in the process of buying the paint; but the one thing i was concerned about was how well i was going to be able to write with just regular chalk. now that's no longer a problem! whoohoo!